# 1. 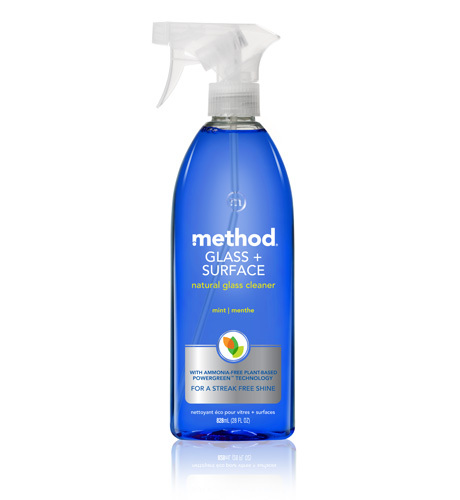 Method Cleaning Products. Omg. I LOVE this glass and surface spray. Love it. I use it multiple times a day, on everything, and my counters have never looked so glossy and beautiful. I also love the way it smells, and even JP, who hates mint with a passion, thinks it's "quite nice." # 3. This dress. I bought it on a lunch break during the 40% off sale at Ann Taylor and it is magical. It is comfortable, makes my waist look tiny, transitions easily from work to weekend, and draws compliments like you wouldn't believe. I love this dress. # 4. This stroller. We've only ever owned an inexpensive umbrella stroller and while it's good for travel, I've found myself avoiding walks just so we don't have to push it very far. 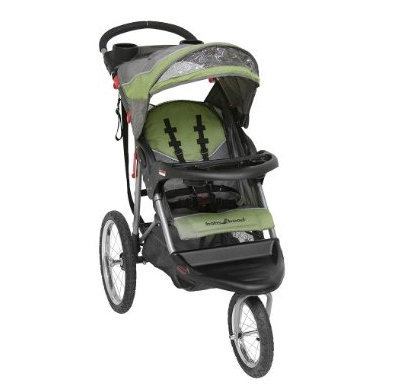 But walks are important- for me, the kids, and the dogs- so I decided we needed a jogging-type stroller. And because I think $400+ is a ridiculous amount of money to spend on a stroller, I looked beyond the Bob and purchased this $120 well-reviewed gem from Target. And it is AWESOME. It glides over pavement and dirt, turns on a dime, and moves forward with little effort. I make excuses to go on walks now and I've even jogged with it twice- and you can't imagine how much I hate jogging. # 5. This painting. Purchased after Christmas, I continue to love this painting and how it looks in my living room. The wall above the TV was screaming for something and Target provided. Yes, it's mass produced Target art, but I don't care. It looks pretty, matches my colors and decor, and makes me happy. I'm smiling at it right now. So there you are. Five things I love, pretty much in order of how much I love them. I'm thinking of buying myself another method glass and surface spray just to keep one in my office because it makes me so happy. That's love. ooh, I should have recommended Cetaphil the first time round. It's awesome, affordable, and convenient! Moisturizer - hard - I prefer L'Oreal's range - as they are the difusion brand for Lancome. So high-end quality at low-end price. I love the Cetaphil too - just tried it for about a week and it's great. I got the Costco supersize pack of two. For lotion, it is super hard to find good stuff. I like the Oil of Olay night cream (it's a dark purple jar). Still looking for day cream - so far using the Boots from Target and it's pretty good and has SPF in it. Even though you are happy with the Cetaphil Daily Facial Cleanser, when you run out, try switching to Cetaphil's Gentle Skin Cleanser. That is what I use. I can't stand the Facial Cleanser--it is too scented and sticky for me in comparison to the Skin Cleanser. Cerave moisturizer is cheap and WONDERFUL for sensitive skin. 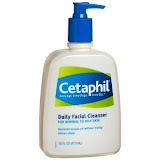 I would die without my Cetaphil. There really isn't a better face wash out there. I love the dress, too. Or at least your description of it. It's so hard to find a well-fitting, comfortable dress, especially with horizontal stripes.